Last week at this time I was writing an article about overcoming failure. The quote I used was “Failure is not falling down; Failure is staying down when you have the choice to get back up”. I am happy to say I got back up and went back, tried again and succeeded! And I am now so happy I failed because it tested me on being resilient again, and made me redefine the whole concept of failure. So this week, motivate yourself to try things a little bit scary, and embrace the possibility of failing. 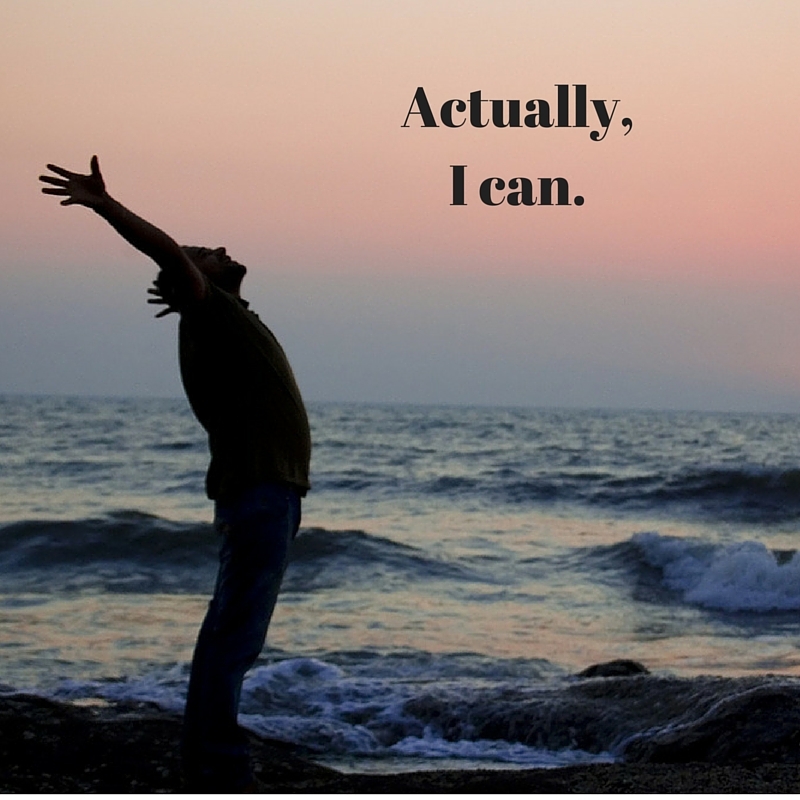 Eventually, as long as you keep getting up and keep trying, you will end up saying “Actually, I can”.